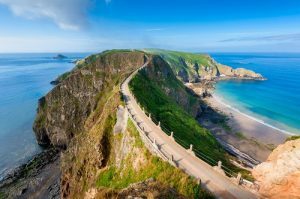 Three miles by one and a half miles of rugged cliffs, wooded valleys, open green headlands, sandy bays and picturesque country lanes – welcome to Sark! The Island of Sark has a fascinating history and stunning and dramatic landscape. When travelling by boat from Guernsey, a short fifty minute ferry ride, you will be taken to Sark’s cliff harbour where you will be transported by tractor to the top of Harbour Hill. Sark is very safe for dogs with the only modes of transport being horse and carriage or bicycle, and some tractors which are used by the local workforce. For you there are breath-taking cliff views and lots to discover. Sark is a beautiful, small Channel Island to take a break and unwind in – and it’s very dog-friendly! If you’re going for a day-trip or for longer, there are plenty of dog-friendly restaurants to choose from on this tiny but stunning piece of land on the edge of the Atlantic.  Find dog-friendly places to stay and visit in Sark here.